A decorative initial for the Adoration of the Magi. The Wise men from the East (the Gospels don’t say how many there were so tradition says there were three) arrived to worship the infant Jesus; this “adoration of the magi” is called Epiphany. The wise men bring gifts for the child. 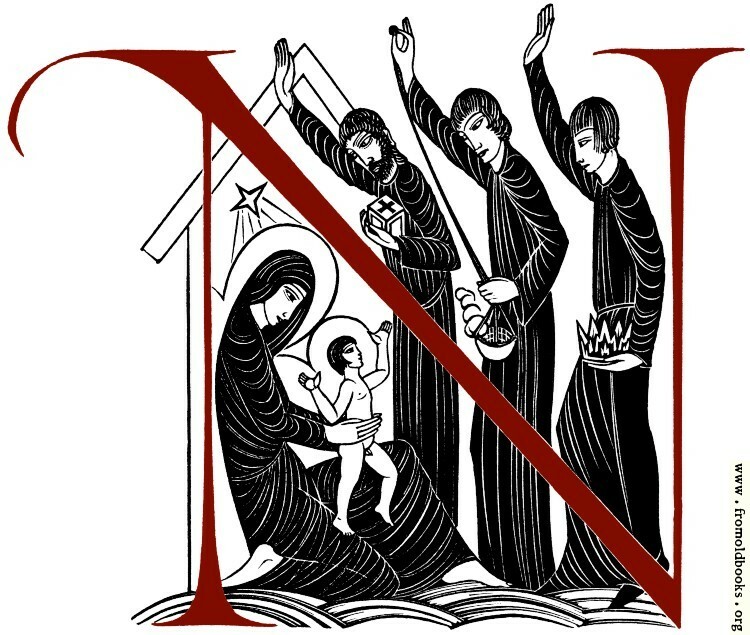 The letter N has been coloured in a deep purplish red for the Web, although the original was solid black. There is also a version of this initial that includes the first few lines of text, here.